3D printing is the latest trend that has taken the digital world by storm. It is a one-time cost that can help you to save a huge amount of money as you will be able to create a number of home commodities with your 3D printer in your own home. With a 3D printer, you can create solid parts of an object. One layer of a product is printed at one time. Let’s have a look at some of the advantages of owning a 3D Printer for Home. One of the biggest benefits of buying a 3D printer for home use comes with the feature of personalization. As stated above, you can create a huge number of home commodities with convenience using this technology. This will allow you to add your own personalized touch to things you will create. You can take help of the internet to get some unique ideas for printing. Click here to get some interesting ideas on 3D printing. Having a 3D printer at home can prove to be a cost-efficient because instead of spending on numerous products, you will be able to create them in your own home. Moreover, if a product hasn’t turned out up to your expectation, there will not be much of a loss as compared to traditional manufacturing methods. If you have a certain idea in your mind related to a certain product, you will be able to get a real feel of it by printing it using your 3D printer. All you got to do is to draw it virtually and your 3D printer will present it in your hand in a solid form. Some 3D printers use biodegradable materials for producing the prints. 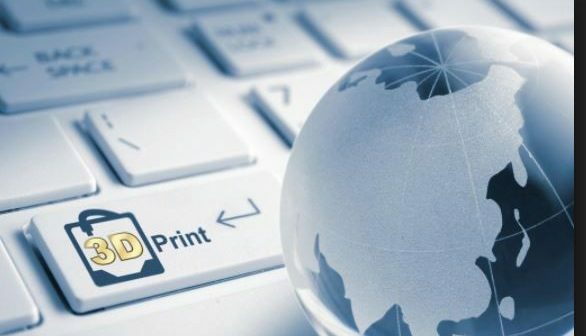 Thus, by using these printers you are playing your part in conserving the natural resource of the earth. In the cases where you order products from the internet, you have to wait for days, in some cases weeks as well, to get it delivered to your doorsteps. A 3D printer can eliminate this hassle. With such a printer, you can have a 3D printer right then and there. With having a 3D printer at home, you will be to make education interesting and fun for your little ones. They can showcase and polish their creative side using this tech device. Furthermore, you can also use this printer to print interesting models relevant to their courses to make their learning easier and fun for them. All in all, it can be safely said that the future lies in 3D printing technology. If you are looking for a 3D printer for your home, then look no further and opt for 3D printer “Neva” by DAGOMA. They also offer various tools and equipment that can come in handy to turn your imagination into a reality.